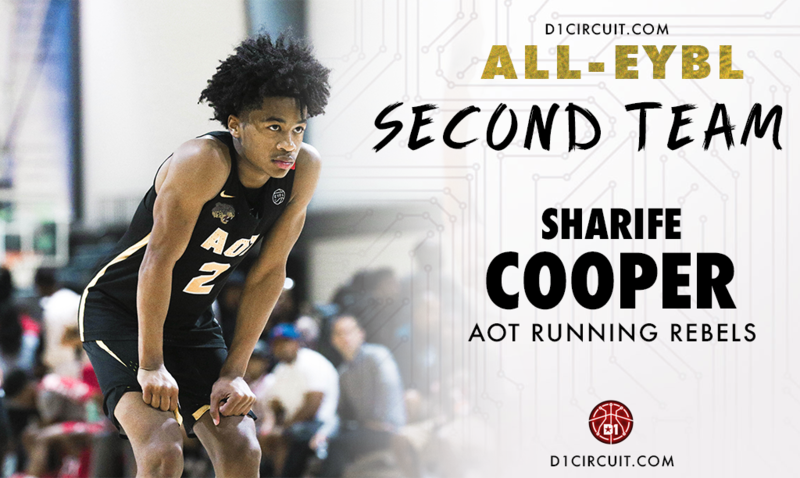 Sharife Cooper has made the AOT Running Rebels go since 2009, and he was at his best this spring. The 6-foot-1 guard is capable of explosions of points, assists and steals that make AOT tough when they get rolling. Cooper has nine 20-point games and 10 games of 6+ assists. His play earned him Offensive Player of the Year, the first underclassmen to do so since we the start of our coverage in 2013. He was also part of the First-Team All-Underclassman team, earning Underclassman of the Year. A two-year EYBL veteran, Keion Brooks Jr is an active, live body that was on a tear from start to finish. 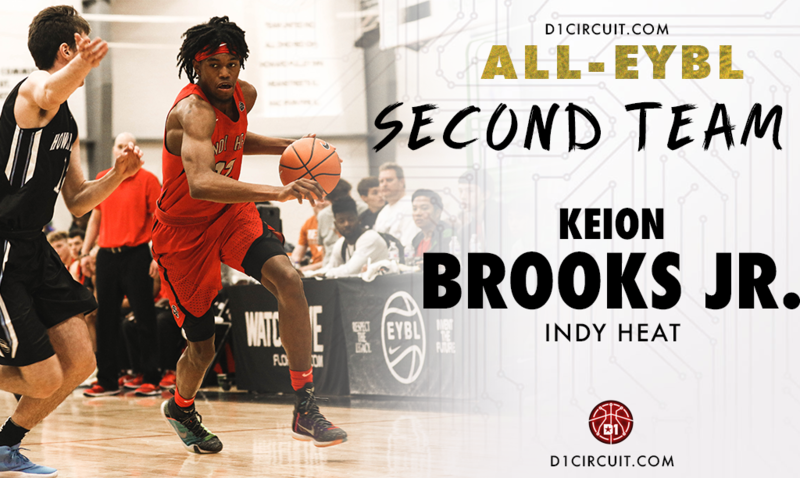 Brooks earned Most Valuable Player honors at home during Session two in Indianapolis, and showed much-improved ball-handling and perimeter work. He added to his game, but still stuffed the stat sheet efficiently in the paint. He’s turned himself into a terrific two-way player, and has improved his blocks and rebounds production with each session. Brooks turned in 11 20-point games, which is more impressive considering he shares a frontcourt with fellow 2019 stud and Third-Team selection Trayce Jackson-Davis. 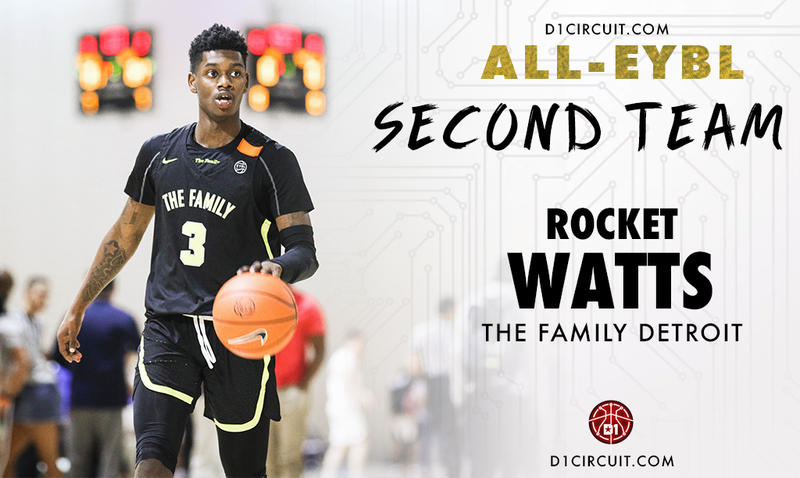 The Family Detroit (MI) struggled this spring, but Rocket Watts was definitely a bright spot. Watts gave everyone buckets, shooting 54% from two-point range and 85% from the line. The 6-foot-2 guard put up eight 20-ppint games with a binge of 20+ points in 8 of his last nine games; 24, 26, 34, 21, 43, 36, 28 and 35. 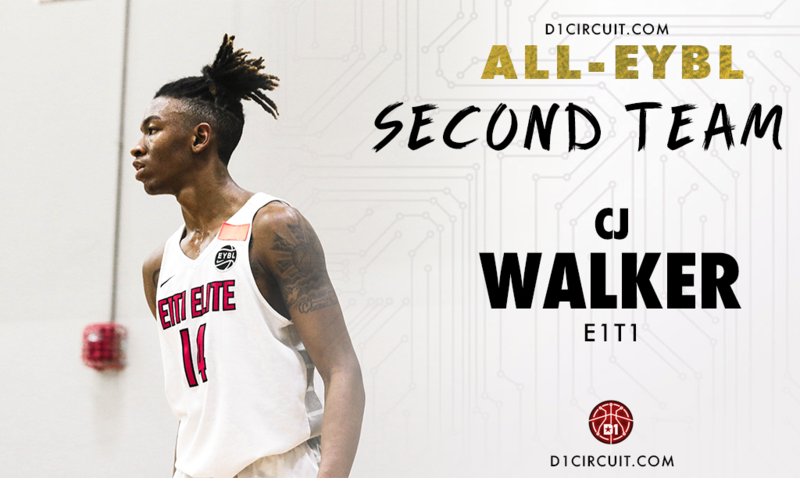 Watts is one of the best true scorers in the country, and he’ll be on display at the Peach Invitational. 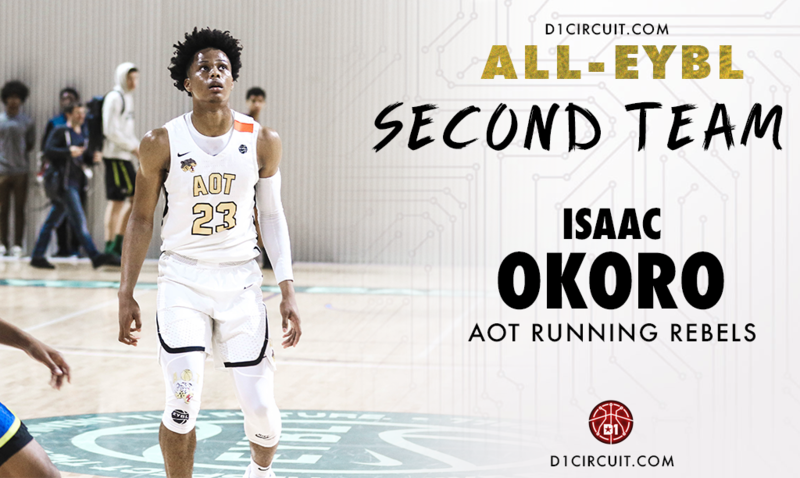 Isaac Okoro is a major cog in the AOT engine, and he had a blistering hot spring.  Okoro nevers stops moving, employing a relentless motor en route to some versatile production. Okoro averaged 4.3 assists and only 1.9 turnovers while averaging 17 points and eight rebounds. Okoro, a high school junior who stars for McEachern (GA) during the high school season, is currently starring for the FIBA U17 team, and will need to rest up immediately upon returning to the states two days before Peach Jam.